Please note that in order to drive a snowmobile you must have a valid drivers licence. The number of persons without a drivers licence cannot exceed that of those with a valid licence. 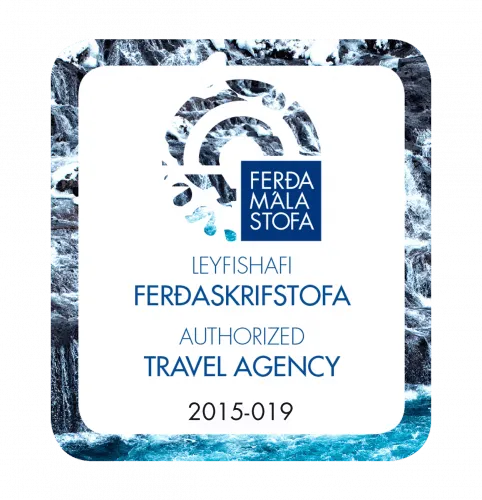 Please notice that departure for this tour is from Husafell or Klaki at Langjokull Glacier’s edge. You will need your own car to drive to the glacier where the tour starts. MANDATORY FOR TOUR: WARM CLOTHING – even in summer – and a driver’s license. During winter (16th of October to 31st of May) everyone departs from Húsafell. 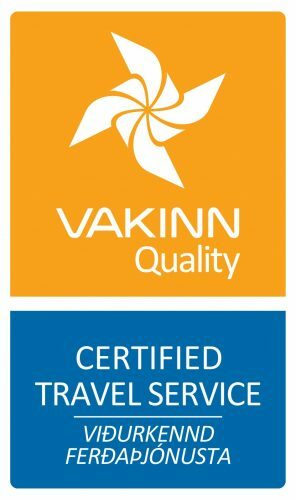 During summer (1st of June – 15th of October) you have the option of meeting us in Húsafell or Klaki base camp. To operate a snowmobile, the driver must present a valid driver‘s license. The minimum age for joining this tour as a passenger is 6 yrs. We reserve the right to change the itinerary and the mode of transport/cancel the trip, according to weather or road conditions, or circumstances beyond our control. The minimum age for joining this tour is 6 yrs. The rate is per person and is based on 2 persons sharing a snowmobile. The duration of the tours may vary according to weather and road conditions. 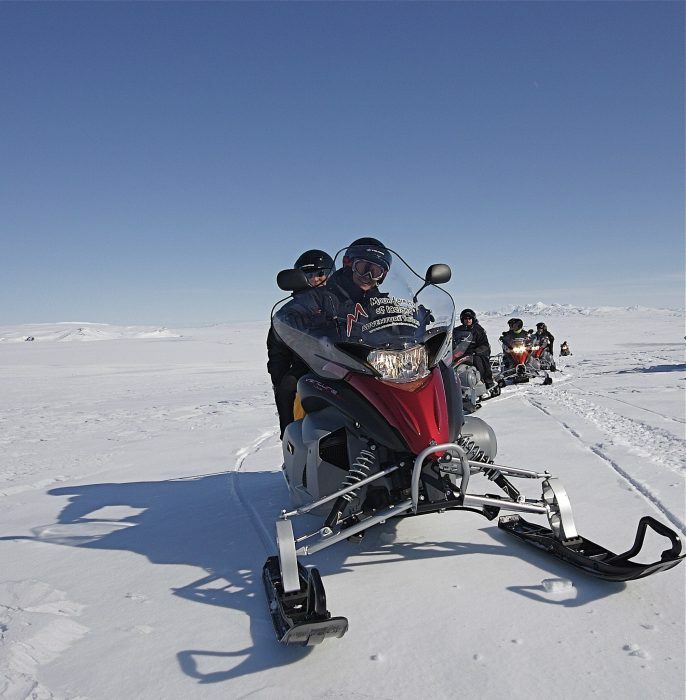 Please note that our partners Mountaineers operate the snowmobile part of the tour.